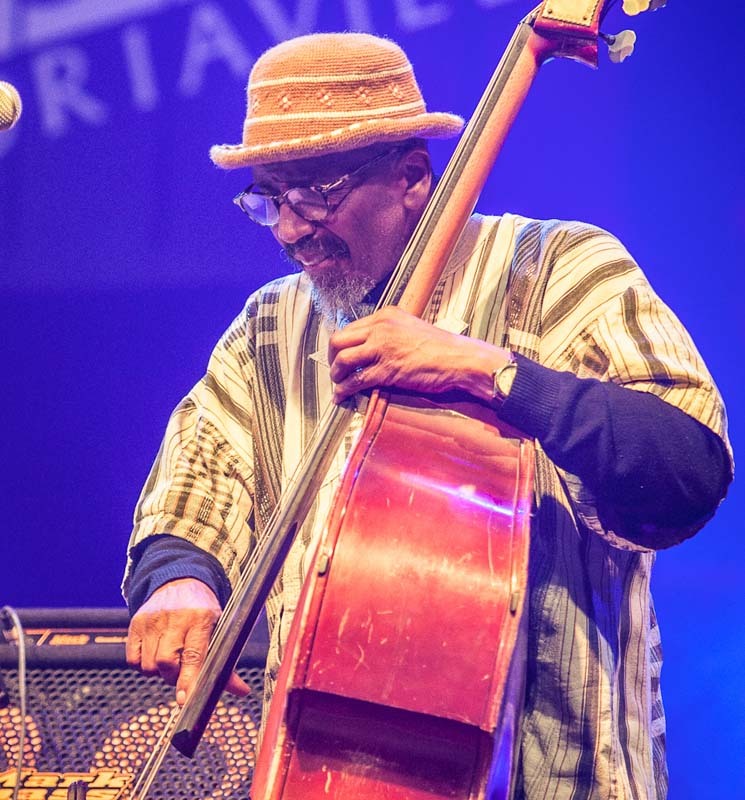 NYC jazz icon / bass player William Parker returns to FIMAV with his long-running project, "In Order to Survive," now in its 25th year of exploration. Joined by a trio of like-minded travelers — drummer Hamid Drake, saxophonist Rob Brown, and Parker-described "most valuable player" Dave Burrell on piano, Parker and company deliver three powerhouse pieces full of risk and reward. Led by Parker's deconstructed groove, the quartet finds a colourful zone where free and soul jazz composition is full of friction and spark. Parker's rhythmic friend and foil Drake has one of the most fluid rhythms possible, hovering over the drums to land with graceful and ever-light impact; Drake is the master of the snare rim, it must be said. For the first and nearly hour-long piece, "Forever," Burrell and Brown move from tasteful commitment to the flow into several solos; Brown is solid and expressive while Burrell pushes hardest and farthest outside anything like a comfort zone the piece contained. A highlight of the Burrell's last solo is Drake cracking up watching him live large in the highest sharps on the piano. The last third of the concert was divided between two pieces, a pulsing Coltrane-flavoured composition called "Rise Up" that Parker then explained, tongue-in-cheek, as a substitute for Viagra, before dedicating the finale, "Eventually," to recently passed jazz drummer Sunny Murray. The entire concert, the loosest and best I've seen by Parker here at FIMAV, was dedicated by organizer Michel Levasseur to also recently passed jazz giant and festival friend Cecil Taylor.